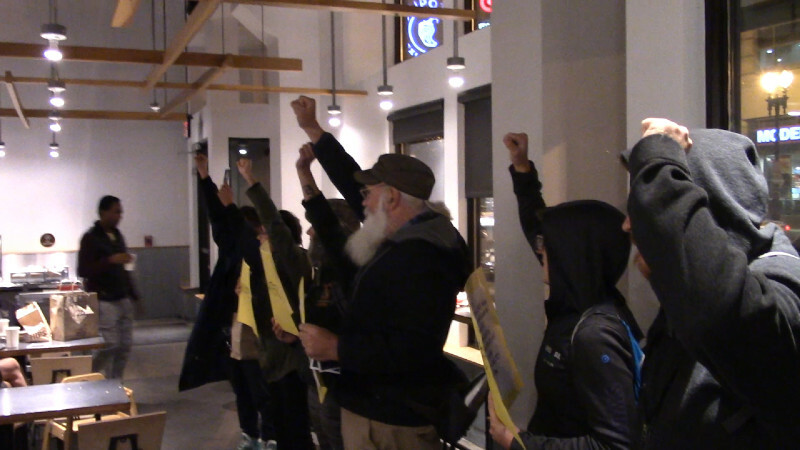 On the 19th of October, Transgender activists and their allies gathered at the Columbia Heights Metro and marched into a variety of area restaurants. The protest was on behalf of the shocking number of transgender people who have been murdered, and focussed on the case of Jennefer Laude, a Filipina transgender woman who was murdered by a US Marine who claimed "self-defense" for strangling her to death after finding she was transgender. 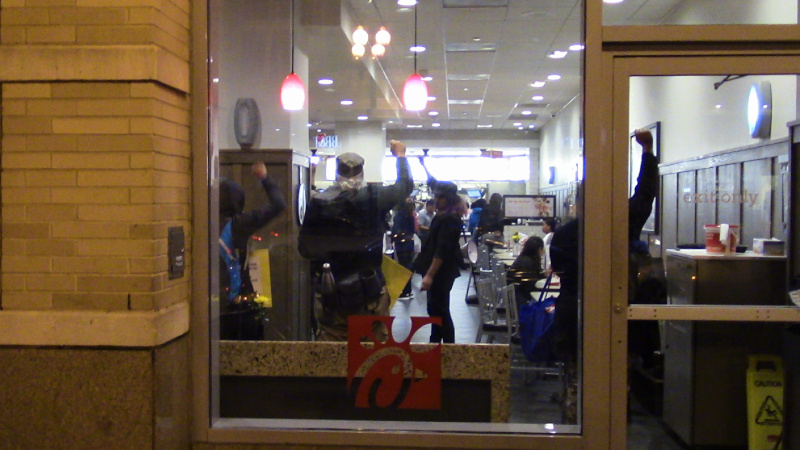 The protest visited Chipotle, Starbucks, a branch of the notoriously homophobic Chick-Fil-A chain, and Z-Burger. Not surprisingly the worst issues with threats from staff were at Chick-Fil-A, though someone at Z-burger picked up the phone saying they were calling the cops(snitching). Nearby police in the streets showed no sign of reaction however. Jennefer Laude was murdered by Private First Class Scott Pemberton of the US Marine Corps. When he was found guilty of murder, the "visiting forces agreement" between the United States military and the Philippines limited all legal proceedings to a maximimum of one year, and he received only a ten year sentence. At no time was Pemberton transferred from the custody of the US Marine Corps to the custody of the Philippines. Transgender activists and anti-colonial activists in the Philippines have both cited this case as an example of special treatment US soldiers get in the Philippines. They have condemned the government of the Philippines as well for making no serious attempt to assert their own sovereighty in this case.